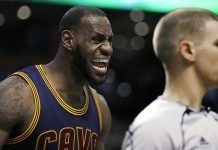 Home Sport News Basketball New NBA champion has gone mad? So, in this way this year’s NBA playoffs will have to end! The Cavs were unable to stop the Golden State attacks and lost the 1:4 championship battle. 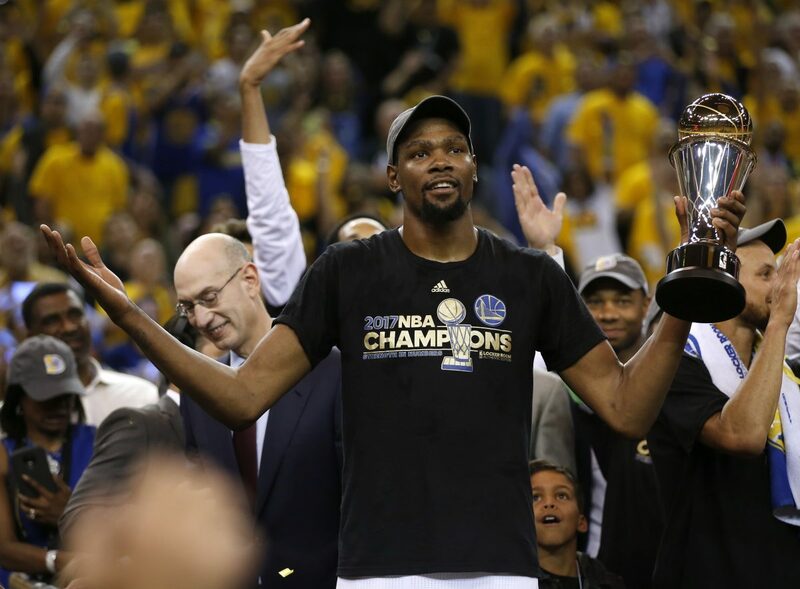 The hero of the finals was amazing Kevin Durant. This man in every game worked not only for two or three people! He worked for the whole team. After the last victory with tears in his eyes he shouted, “Mom, when I was eight years old, I told you it would work! Durant’s averages were cosmic. In five games against the Cavaliers LeBron threw 35.2 points, had eight rebounds and 5.4 assists per game. Trashed the basket with nearly 56% efficiency. Tonight he scored 39 points and led his team to a 129: 120 victory. KD coming from Thunder last year, signed a two-year contract. However, the second season was dependent on the decision of the basketball player himself, and now we know that he is going to give up on it! Now he has earned $ 26.5 million, and after winning the MVP title, he will agree to a reduction of payment! Yes Yes! Has KD gone mad? The best current basketball player in the world wants to earn less? I’m already explaining what’s going on. Now he could charge 35.4 million for the season. But the player himself will agree to a three million dollar less deal, because he wants the Warriors to have the money to pay for new key replacement players – Andre Iguodali and Shauna Livingston. So is devotion to win the beloved championship. Because money is not always the most important thing! KD respect, great respect! 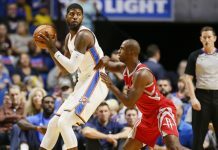 Next articleExchange of the year in NBA!